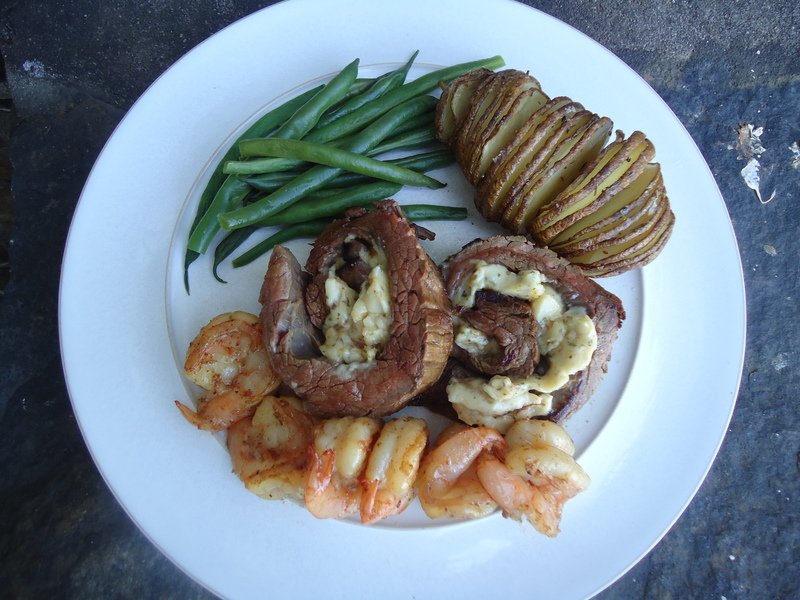 Flank Steak Roulade with Roasted Garlic and Herbs Cheese Spread served with Miso Buttered Shrimp, Green Beans and a Roasted Potato with Thyme. Make the ordinary steak and potatoes meal extraordinary with a few herbs and Asian flavors. Prior to cooking, the flank steak was marinated in soy sauce, mirin and sake.